High quality (pharmaceutical grade) chondroitin sulfate is as good as a widely prescribed non-steroidal anti-inflammatory drug (celecoxib) for the treatment of painful knee osteoarthritis, concludes research* published online in the Annals of the Rheumatic Diseases. Its effectiveness and safety prompt the researchers to call for it to be used for long term treatment, particularly for older people, among whom osteoarthritis is common. 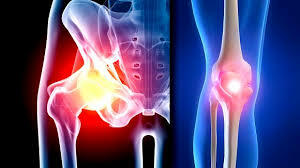 Osteoarthritis is a degenerative joint condition causing pain, loss of function, and often some degree of disability. It is the most common form of joint disease, affecting at least 8 million people in the UK alone. It is usually treated with painkillers, specifically non-steroidal anti-inflammatory drugs (NSAIDs), and paracetamol. But the evidence shows that regularly taking high dose NSAIDs/paracetamol over the long term is associated with frequent and serious side effects, so effective and safe alternatives are needed. The research team therefore carried out a clinical trial in which 604 patients from five European countries with symptomatic knee osteoarthritis were randomly assigned to one of three daily treatments and then monitored for 182 days (6 months). In one group, 199 patients were given one 800 mg tablet of chondroitin sulfate and one 200 g tablet of fake celecoxib (Celebrex); in the second group 200 patients were given one dummy chondroitin sulfate tablet and one capsule of celecoxib; and in the third group 205 patients were given two dummy tablets. The chondroitin tablets contained highly purified active ingredient (pharmaceutical grade). This because although chondroitin sulfate is available as an over the counter supplement, the level of active ingredient in these products can vary considerably. Pain, joint function, and overall acceptability to the patient were assessed using validated scoring systems on days 30, 91, and 182. The results showed that pain and joint function improved significantly with all three treatments as early as day 30, and this effect persisted through to day 182. But the reductions in pain and improvements in joint function were significantly greater after 6 and 3 months, respectively, in patients treated with either chondroitin sulfate or celecoxib. Joint function improved more quickly in patients taking celecoxib, but there were no overall differences in the effectiveness of either active treatment, which were highly rated by patients. All three treatment approaches were very safe. “This compelling benefit-risk profile, in light of the known clinical risks associated with chronic usage of NSAIDS and paracetamol, underscores the potential importance of pharmaceutical-grade [chondroitin sulfate] in the management of knee [osteoarthritis], especially in the older population requiring long-term treatment,” write the researchers. They conclude that a daily dose of 800 mg of pharmaceutical-grade chondroitin sulfate is better than a dummy product and as good as celecoxib in reducing pain and improving joint function in symptomatic knee osteoarthritis. It is a formulation that should be considered first for the treatment of the condition, they add.